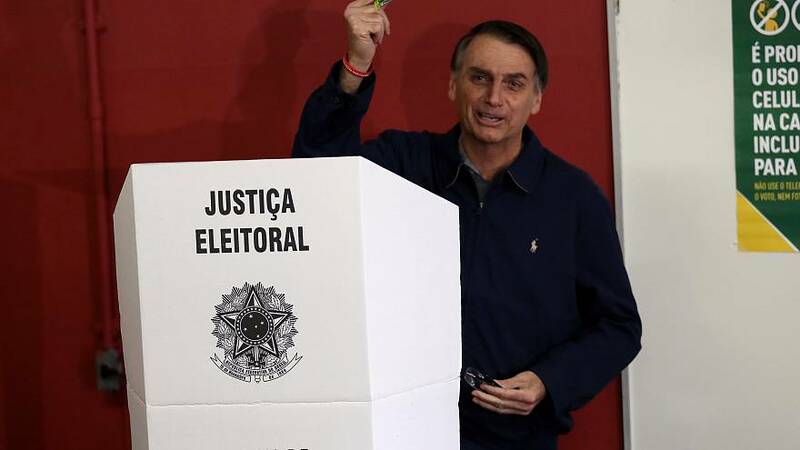 Voting is underway in Brazil in a polarized presidential race between a far-right popularist and a leftist candidate whose party is tied to a massive political corruption scandal. Front-runner Jair Bolsonaro, who has been called a "Tropical Trump", has vowed to crackdown on crime and corruption. But his praise of past dictatorships has enraged critics who say his election would be a blow to the country's democracy and social gains. Bolsonaro's closest rival is Workers Party candidate Fernando Haddad - a former mayor of Sao Paulo and one-time education minister. Haddad, who is campaigning as a fiscally responsible moderate, stepped in for imprisoned former president Luiz Inacio Lula da Silva but doesn't have the name recognition or popularity of his imprisoned predecessor. Brazilian authorities have dramatically increased security ahead of the election amid a climate of political divison and hostility. Bolsonaro was stabbed and seriously injured last month while campaining.